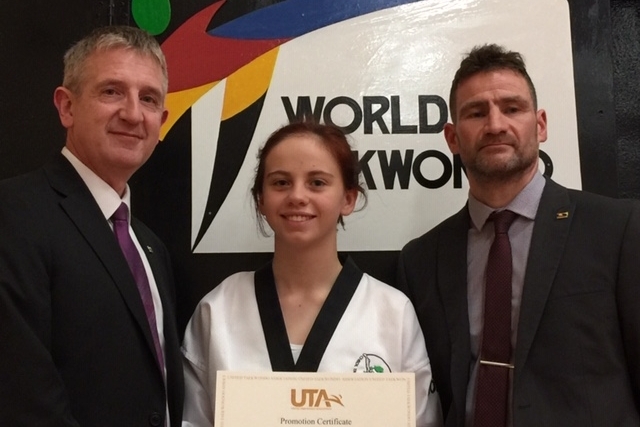 Many congratulations to Aimee Devine (Year 9) and Carly Davison (Year 11) on their continued success in Taekwondo. 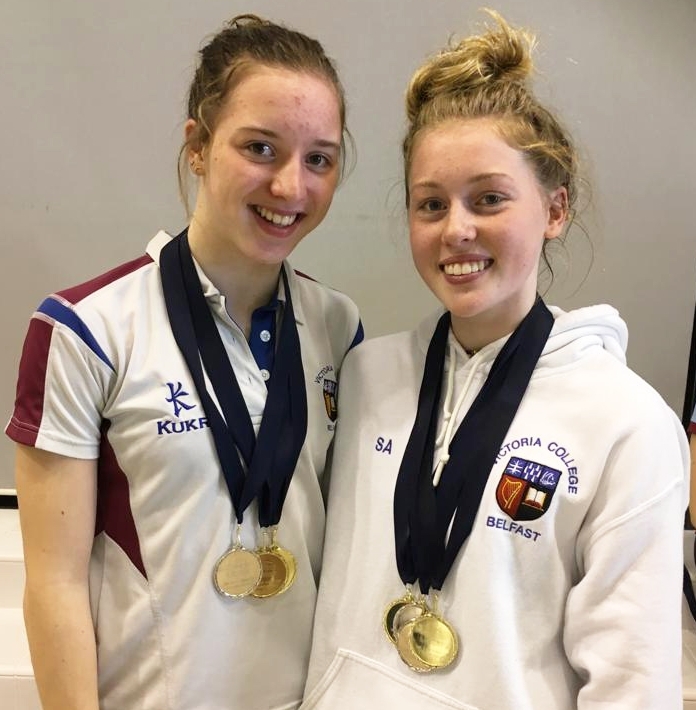 At the recent Irish Championships, Aimee was awarded 2 gold medals and 1 silver medal, and Carly attained 3 bronze medals. Both girls displayed not only admirable dedication in this competition but also the skills required for further success in future contests. It is wonderful to see both pupils achieving so highly in such a competitive field. Posted on November 16, 2018 by Heather Dornan Wilson and filed under Sport and tagged Taekwondo VCB. At the Ulster Schools Championships our VCB Senior swimming relay won both the medley and freestyle relay-Ulster schools champions for 2018. Both Emma Montgomery and Scarlett Armstrong won individual medals. Posted on November 13, 2018 by Heather Dornan Wilson and filed under Sport and tagged swimming VCB. The Victoria College Belfast U13 camógs were recently invited by Belfast City Council to play a series of games against local schools including Aquinas Grammar School and Our Lady's and St. Patrick's Knock, to mark the opening of the new floodlit facilities at Cherryvale on the Ravenhill road. Led by captain Anna McCardin, the girls enjoyed being hosted by the Lord Mayor of Belfast and the opportunity to use the skills they have been developing in weekly training. Posted on October 19, 2018 by Heather Dornan Wilson and filed under Sport and tagged Camógie. Georgia Ross played played for Ulster U18s in Dublin last weekend for the Interprovincial Tournament. Ulster came second to Leinster in a very tight final game to decide overall winners, which went to penalty runs. After 5 penalty runs each, the result was 2-2 and went to sudden death but Leinster were able to convert. Tough finish for the Ulster girls who denominated the matches throughout the whole tournament. Congratulations to Georgia on her outstanding achievement! Posted on October 2, 2018 by Heather Dornan Wilson and filed under Sport and tagged Hockey.